In Trentino, sustainability and protection of the environment have long been keystones of the local culture. Cavit is firmly committed to the maintenance and continuous improvement of its integrated management system, as well as to an ever closer integration of the system with the other tools for corporate management (HACCP, management analysis system, IT system), all aimed at ensuring that the company is in full compliance with the principles governing the safety of its employees and all requisites required by current legislation concerning its environmental impact. CAVIT is one of the companies that draw on European funds for rural development. 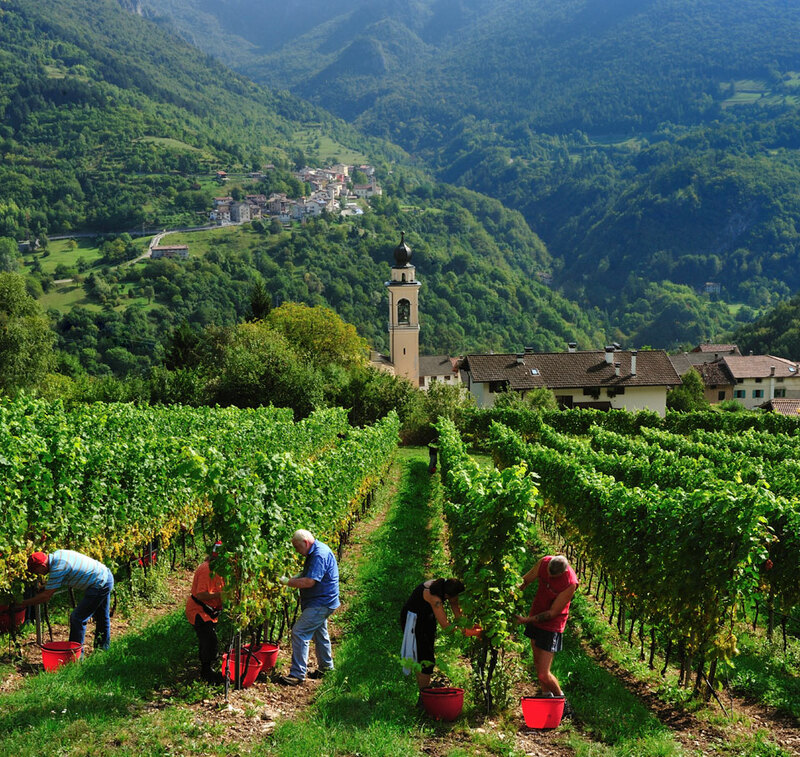 For more than two decades Cavit has adhered to the “Protocol for the production of high-quality wines in Trentino”, marking its commitment to fully-sustainable agriculture. As another means of ensuring sustainability, in addition to using only green energy, Cavit has made major investments aimed at reducing energy consumption. Specifically, the company has built three photovoltaic generators which produce part of its energy requirements from renewable sources (more than 800 Megawatts per year), significantly reducing CO2 emissions. PICA (Integrated Agricultural and Wine-producing Cartographic Platform), is the result of a research project conducted by Cavit in collaboration with MPA Solutions and leading research centres in Trentino: the Edmund Mach Foundation (FEM) and the Bruno Kessler Foundation (FBK). The project comprises two main areas. The first defines the choice of the most suitable grape varieties, on the basis of the technical and environmental parameters of the soil; the second involves the creation of an avant-garde system with which agronomists and winemakers can receive specific information concerning each vineyard and the various phases in the cultivation of the vines. In practice, waste is eliminated and the grower has total control. For example, the innovative system makes it possible to regulate the water supply according to the characteristics of the soil and the weather conditions. The main purpose of this platform is to help the grower to achieve total sustainability.